Like the other downtown Momentum buildings, it's both. (10-26-2018, 03:47 PM)Momo26 Wrote: How deep would they generally need to go for such a project? How many floors of parking? 50 feet for this one. Seemed like there was a bit of a pause on this for the past few days, but they've been digging again today and the site is about twice as deep as it was a few days ago now. I-beams are in for reinforcement against the manulife building. How deep do we think this is going, 3 floors? They're definitely at at least 2 now. This project appears to be coming along quite nicely. What's occupancy? (11-27-2018, 12:10 PM)Momo26 Wrote: This project appears to be coming along quite nicely. What's occupancy? Official estimate is September 30, 2020. Less than two years from the crane going up until move-in would be unusual though. You have to wonder if that's possible -- but then again, the footprint is fairly small, so each floor should be built fairly quickly. My guess would be, tower goes up around April/May, comes down within 12 months, and mostly finished by October 2020. Don't forget too, occupancy can commence whilst the building is still getting quite a bit of work done to many of/majority of units of course. From what I have heard, Momentum usually hands off their units at occupancy is very good shape without a massive lag between occupancy and closing. Not crossing the line at all, good question. I'm expecting 6 months late, that seems to be pretty typical for condos in the area. They did get construction started a couple months ahead of schedule compared to my disclosures doc though, so that was a good sign. 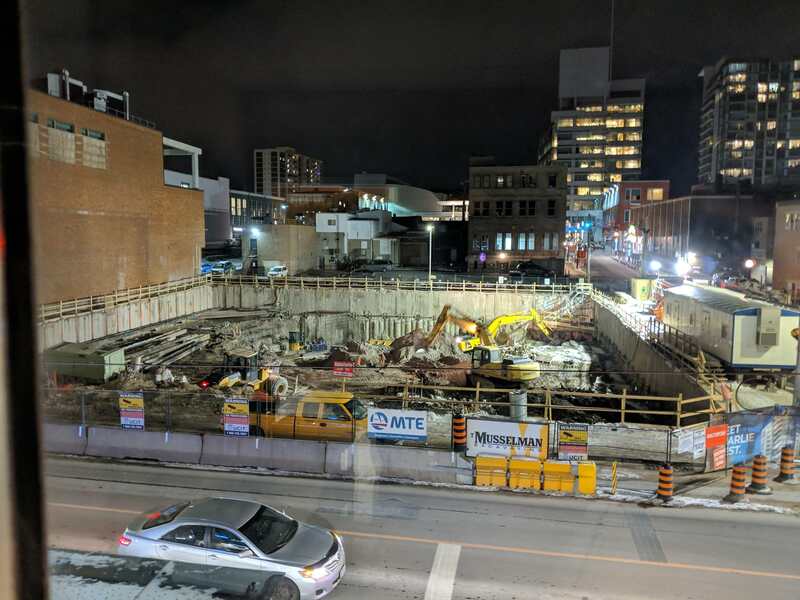 Fortunately I have a lot of flexibility, I'm already living in downtown Kitchener, and have a month-to-month rental that I'm quite happy with. So I'm ready when they're ready. 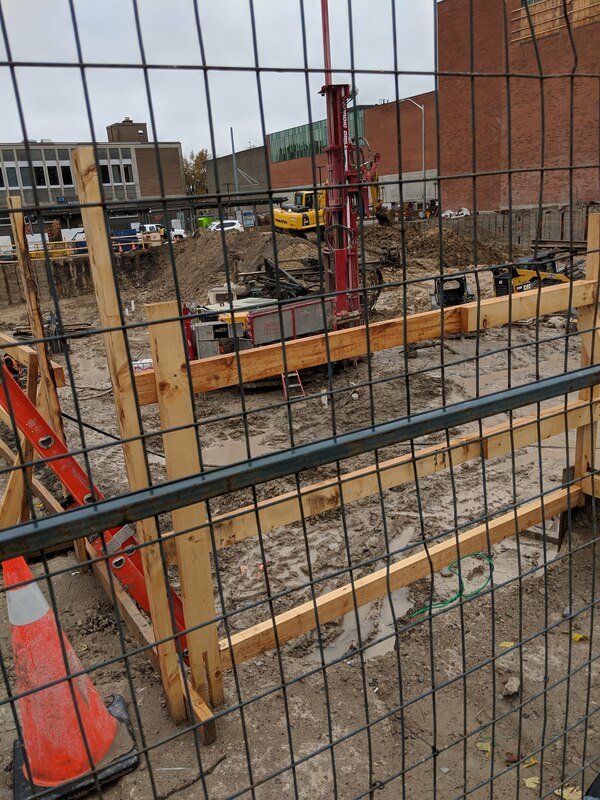 (11-27-2018, 01:31 PM)jeffster Wrote: You have to wonder if that's possible -- but then again, the footprint is fairly small, so each floor should be built fairly quickly. My guess would be, tower goes up around April/May, comes down within 12 months, and mostly finished by October 2020. The footprint is small but it's still a lot of units, 300, due its significantly taller height. All the other downtown condo tower projects have been 200-250. So I'm not sure it will be done that much faster. (11-27-2018, 01:38 PM)Momo26 Wrote: Don't forget too, occupancy can commence whilst the building is still getting quite a bit of work done to many of/majority of units of course. From my understanding early occupancy tends to be from the bottom up, as those units gets finished first. I'm on the 30th floor so I'll take the full impact of any delays. Nice, you got a very high unit. I've been following this one closely and pass by pretty well daily - mind if I ask which unit and facing you went for? (11-27-2018, 04:06 PM)Momo26 Wrote: Nice, you got a very high unit. I've been following this one closely and pass by pretty well daily - mind if I ask which unit and facing you went for? I've got the 2 bed + den unit (there's only one per floor, but two layouts depending on which floor), facing towards Charles St.